For today and its blessings I owe the world an attitude of gratitude. Even on a tough day, when you really look, you can see things to be grateful for peaking out from all directions. From that first invigorating sip of morning coffee to the cozy warmth of your bed at night and so many things in between, there is joy to be found all around us. 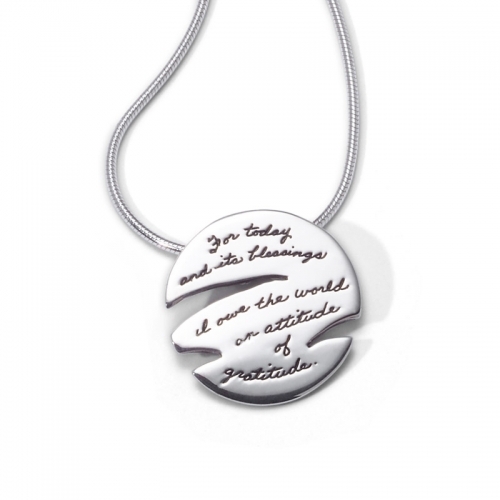 When you look at this whimsically designed pendant engraved with handwriting, you can remember that even when the clouds block your view, the sun is always there. You might just have to look a little harder to see its rays.